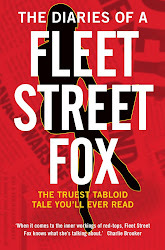 fleet street fox: A waist of French toast. WHENEVER I go to America I tell myself I won't put on any weight. Then I see French toast and maple syrup for breakfast, fab hamburgers for lunch and a big juicy steak for dinner, and I say "oh sod it" and just accept I'll be fat until I come home and get back to eating normally. America is the land where portions are four times the size of ours, the calories are (I'm certain) some kind of super-molecule thirty times more powerful than normal and no-one walks anywhere, ever. So I'd just like to point out that after two weeks across the pond - involving a three or four course, public dinner almost every night - the Duchess of Cambridge has become the first tourist in its history to get thinner. She's even managed to make Nicole Kidman look curvy. Ms Kidman, for reference, is about 5'10'' and eight-and-a-half stone, or thereabouts. That in itself is normally considered unhealthy. Kate either has worms, raging bulimia, or a serious laxative addiction. Or perhaps she's discovered a way to turn calories into a negative - in which case we've all missed the story and the woman's a scientific genius. But whatever it is, she's about to snap in half. Royals. They never learn, do they?